Happy New Year to you all! 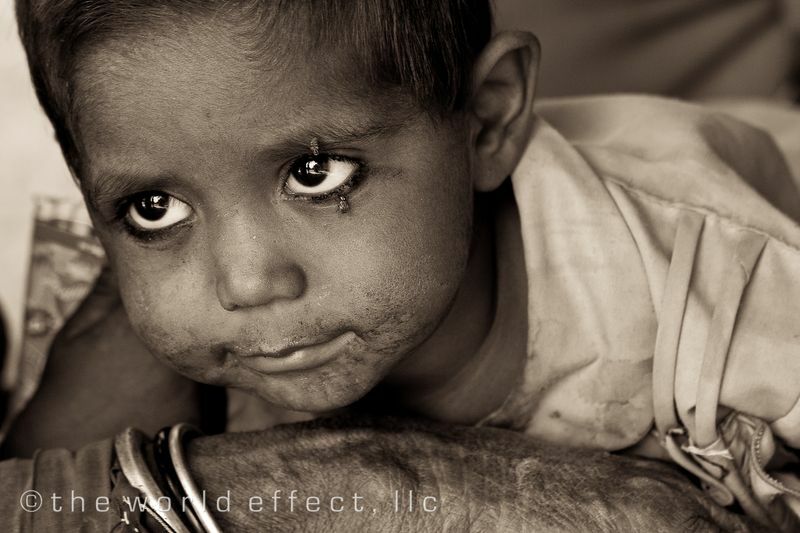 As 2009 comes to a close, please consider donating to UNICEF or give a loan that changes lives at KIVA. We spent almost two weeks working on a few things in Jodhpur, India and have many photos to share with you over the next 2 or 3 posts. We have been awestruck with the beauty of India, most notably the bright colors that can be found pretty much everywhere you look. For contrast, we are taking out the color for the first Jodhpur post. The emotion in these images seemed to jump off the screen as soon as we removed the color. 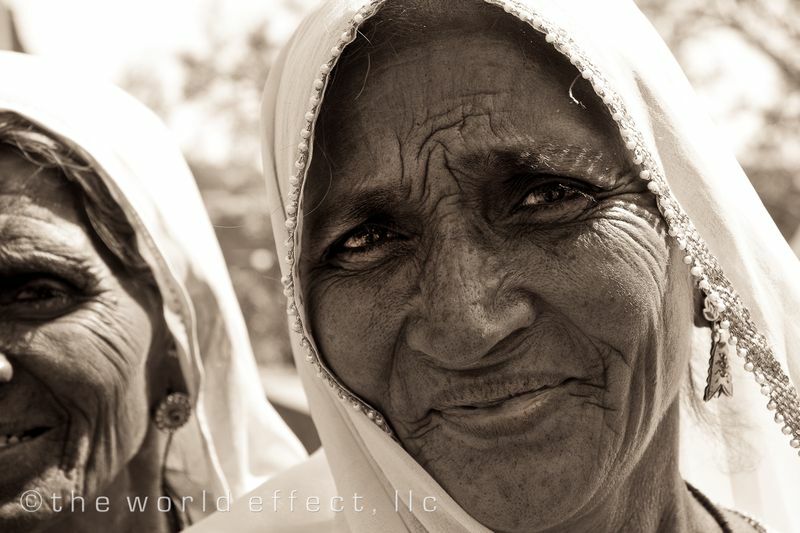 Maybe the beauty of India at first glance is due to the colors, but the people are what really make India shine. 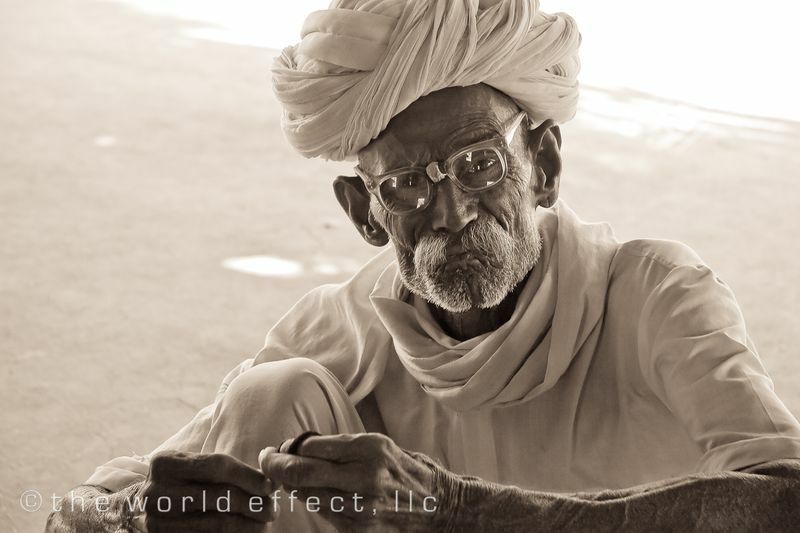 Most of these images were taken in small Rajasthan villages that surround Jodhpur. 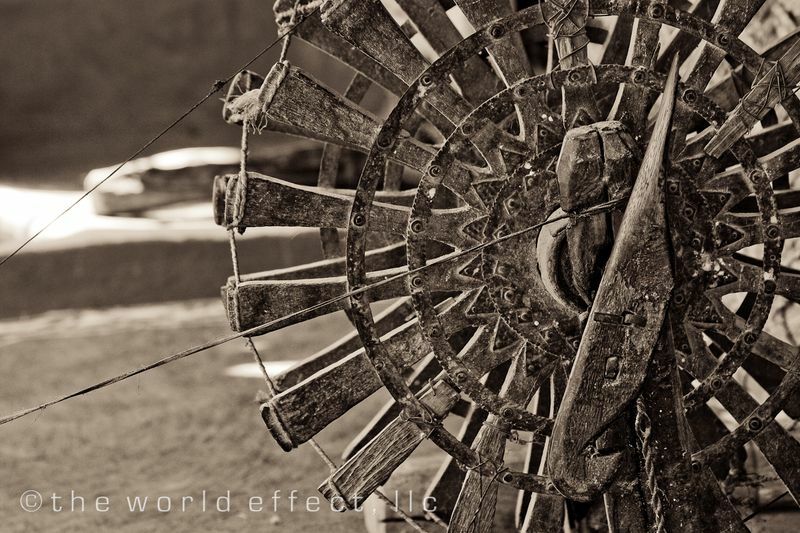 The image above is of a shepherd. 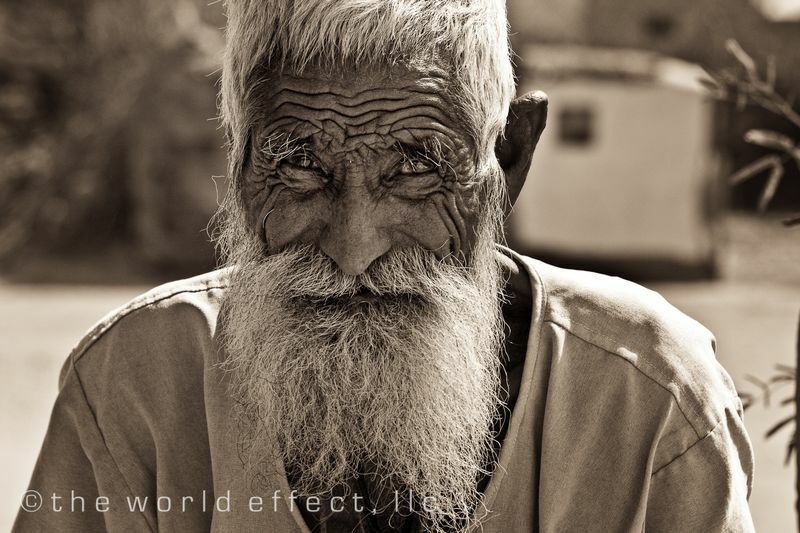 He was the most senior member of a small village. Our guide said that this man belongs to the lowest caste in India. 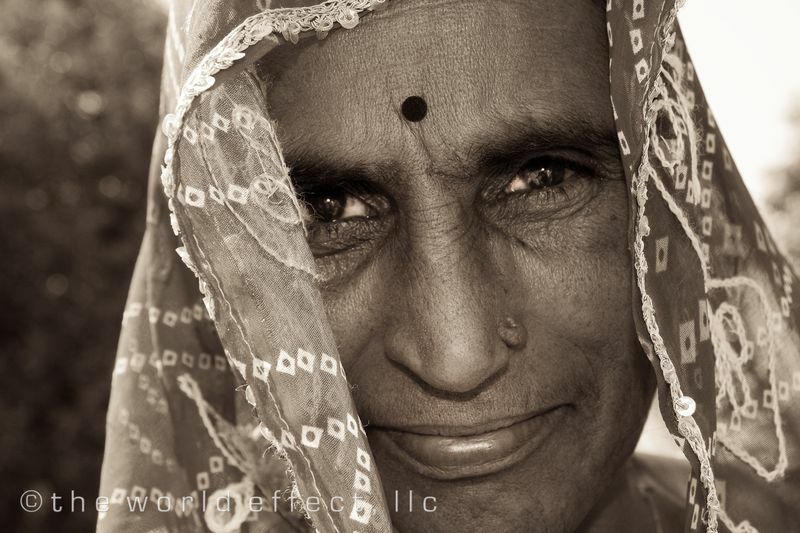 In India, the caste system is still very much in place, especially in rural areas. This concept is very foreign to Meggan and I and is difficult for us to understand. We spent most of the day in this village and found the people to be unbelievably gracious and welcoming to us, we are very thankful to meet such beautiful people. Below is this man's grandchildren being looked after by their older sister and grandmother. They outline the children' eyes to protect them from evil spirits. 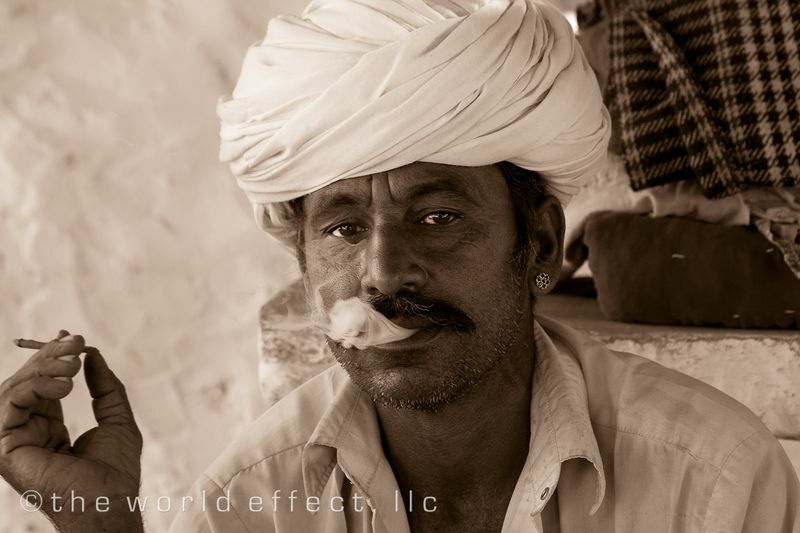 This next image is of a farmer in a village about an hour out of Jodhpur. His sons commute into the city every day to work in factories to support the family during the dry season. Below are images from a settlement of weavers. 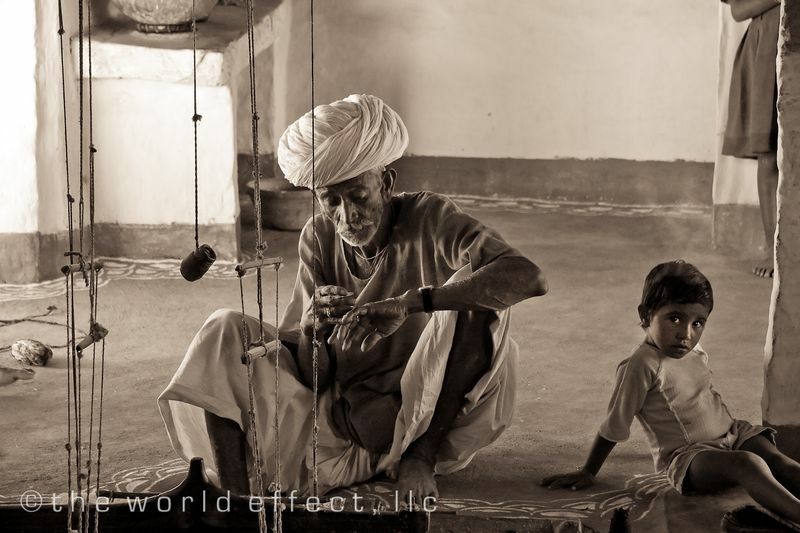 These men are the only remaining people in the area that still weave in the traditional technique with spun wool purchased from the shepherd family above. Meggan and I were greeted by an entire community of people visiting the local park in Jodhpur. These two woman asked Meggan to take their photo. It seems as if behind the lens you two have become unbelievable. 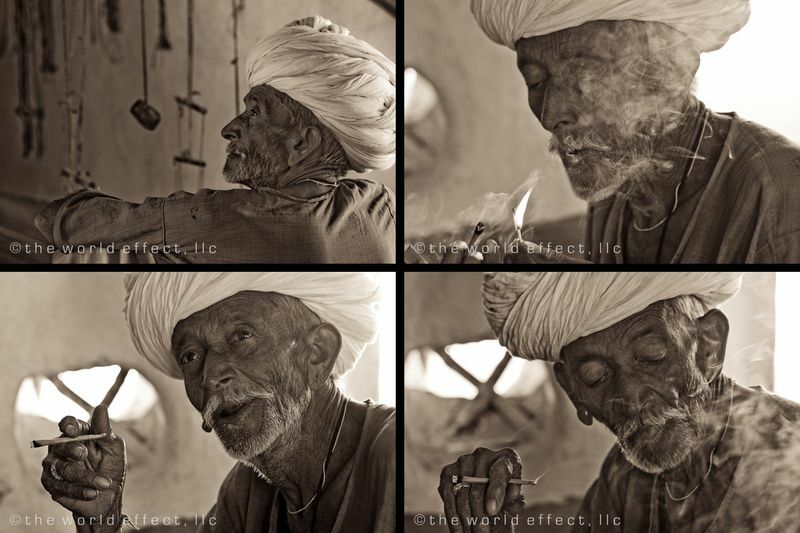 I am awestruck looking at these, and yes they pop off the screen with life in this B n White. Great work guys! 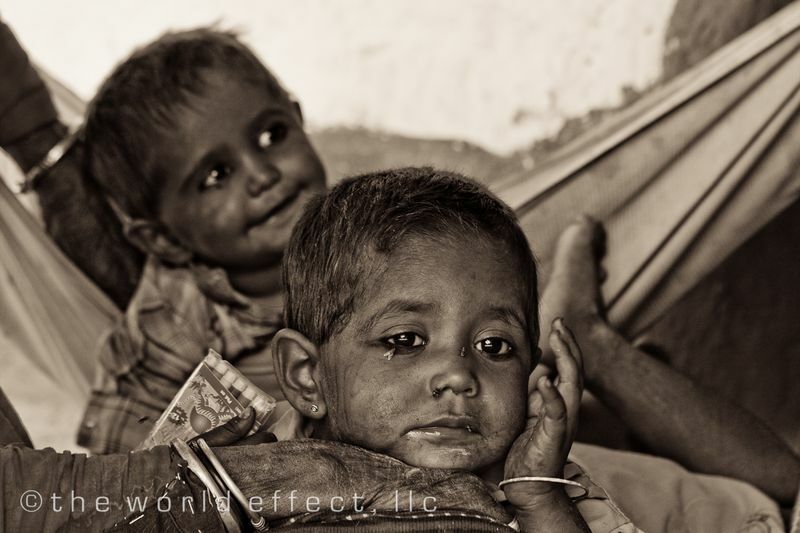 Your pictures and related stories are incredible…..What amazes me the most that in spite of the poverty, they overcome their hardship and are smiling end of the day. fantastic photos. Did you see any Great Indian Bustards at Rajasthan where the shepherds live?